Is There Such A Thing As The Limitless Pill? Someone who has seen or heard of the movie “Limitless” may wonder if a “limitless” type pill exists. Many have asked the question, what exactly is a limitless pill? For those of you who have not seen the movie “Limitless,” (we recommend watching it) the lead actor Bradley Cooper develops abilities which are superhuman whenever he consumes the synthetic “smart drug” called NZT-48. His IQ increases to a staggering four-digit number, his cognitive abilities are improved to inhuman heights, and he displays increases in ambition and drive. The power of his brain increases so rapidly that he becomes fluent in any languages just by listening to others speak in said languages. He is also able to remember all his experiences from the past, easily recollecting all of his early childhood memories, and makes enormous profits outperforming the stock market. However this pill unfortunately also had its associated adverse side effects. Using this smart drug caused the character to blackout for several hours and sometimes days, and if he stopped using it, it could cause death. Does The Limitless Pill Truly Exist? Different Alternatives To The Limitless Pill? Introducing Nootropics! Many people would like to find out if the limitless pills are real. The limitless tablet which was called NZT-48 in the movie is only a fictional supplement which was created by the scriptwriters of Hollywood who wanted a unique storyline for promoting their film. 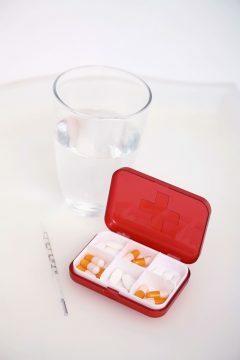 In real life, there is no similar pill or drug available for sale at pharmacies or elsewhere which could enhance the user’s performance to that extent. While many vendors claim to sell similar miracle drugs online, internet users should be aware that these are all false claims. No one can purchase a limitless pill either in person from a pharmacy or online from a website. However, for people interested in improving their cognitive performance there are many nootropic drugs available for sale which have brain-boosting benefits, less extreme to those of NZT-48 of course. Additionally, these alternatives to the so-called “limitless pill” or the fictional nootropic NZT-48 are much safer and do not have any adverse side effects. The nature of humans includes the wish to find shortcuts, better solutions, and more accessible routes to achieve goals. This desire for achieving goals with less effort has resulted in the quest for a miraculous “limitless” pill; however, the truth is that such a substance does not exist yet! It is a scientific fact that the optimal way of boosting productivity and improving concentration is by increasing one’s focus as well as maximizing their mental performance. Having a healthy lifestyle, exercising regularly, and having a positive mindset are all widely considered to be some of the most basic methods which can positively impact mental agility. Additionally, there are particular drugs, called “Nootropics” which help improve motivation, cognitive ability, and mental agility. Doctors often prescribe Modafinil for treating sleep disorders such as excessive sleepiness during the day and narcolepsy. Consuming this drug regularly also helps to improve overall cognitive ability. Modafinil has reduced fatigue levels in patients while improving reaction times and makes the user more vigilant. Though many users have confirmed that modafinil is beneficial, the pill also has some side-effects such as mood swings and ulcers. The mental performance of many users has been improved using CILTeP, (a synthetic nootropic). Natural ingredients are using for making this nootropic which can enhance the ability of the human brain to retain vivid and long-term memories. This supplement also helps users to remain highly focused and motivated for more extended time periods. Many high profile healthcare experts have recommended the use of this drug. Like Modafinil, Adderall is also another brain-boosting drug which can be purchased legally after obtaining a prescription from a doctor. Medical practitioners often prescribe this drug for patients suffering from ADHD or narcolepsy. Some of the beneficial cognitive effects a user may experience from taking this drug are euphoria, the ability to stay awake for more extended time periods, and improved control over their cognitive system. If users take therapeutic doses of this drug, they may experience other benefits such as an increase in muscle strength, increase in reaction time and higher resistance to fatigue. Those interested in using this drug should be aware of the many commonly observed side effects such as appetite loss, dryness of the mouth, and insomnia. If a user takes a more substantial amount than the prescribed dose of the drug, it could result in severe side effects such as the deterioration of muscles, impaired control of the cognitive system, or even psychosis. 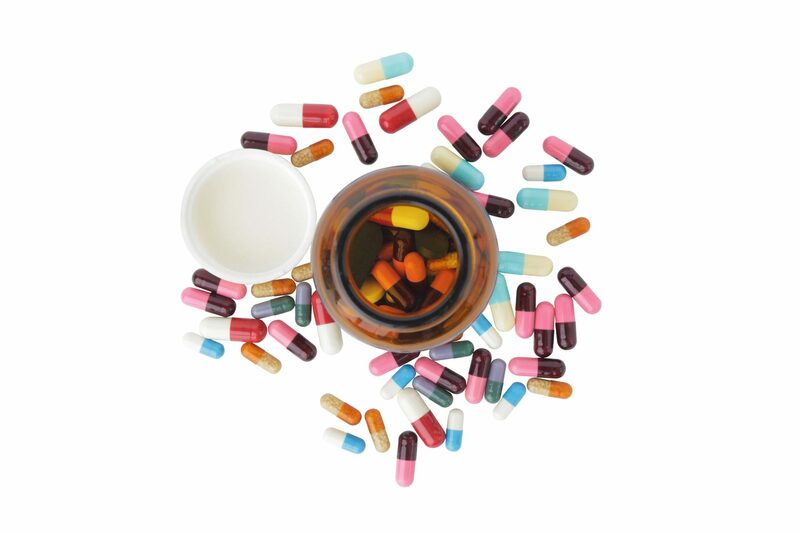 Using large doses of the drug may also result in addiction for some users. This drug initially was formulated to help astronauts handle the stress they experienced when they worked in space for extended periods of time. This very effective drug has also worked on regular people. The test results indicate that phenylpiracetam enhances memory while reducing depression, anxiety, amnesia, and convulsions. This drug is considered to be the most highly rated nootropic in the racetam group. Though athletes are unable to consume this drug because it is a powerful stimulant banned by most athletic commisions, healthy adults may take therapeutic doses as they require. The “Lucid Smart Pill” has a very significant impact on the focus, motivation, and mental abilities of its users. This non-prescription drug was formulated through extensive research for many years and enhances both the mental agility and cognitive ability of its users. An additional advantage to using the pill is that it does not have the adverse side-effects which some of the other substances with similar benefits are known to have. According to some neuroscientists, nicotine is one of the only compounds known by humankind which improves the mental abilities of its users. Though nicotine may be one of the most effective nootropic ingredients in nature, it is not recommended by health experts in the form of tobacco. However, research indicates that there is no harm caused when nicotine gets consumed in small doses. Taking nicotine enhances both focus levels as well as motivation. In addition to many other drugs, caffeine is a natural ingredient which improves the focus of its users and their energy levels. Caffeine often taken in the form of coffee is also an anti-oxidant which has many benefits such as memory enhancing properties. It’s important to note that a large number of people worldwide have excelled in their fields or profession and are successful without using drugs or different varieties of limitless pills. These people achieve their professional goals by practicing consistently in a disciplined manner and put effort into even the smallest of tasks. However, this is not to imply that cognitive enhancers like nootropics don’t work. A large number of people have also attained success partially due to the use of these drugs, but people should understand that it is not the drugs alone that achieves excellence but instead a combination of the two. Though Nootropics similar to NZT can help users improve the functioning and cognitive ability of their minds, in the long term there is no real substitute for hard work. In reality, these so-called limitless pills will only boost the user’s cognitive ability. Users will still have to maintain a balanced work ethic to reach their goals themselves. Users should focus on all tasks no matter how big or small, through concentration, since a mistake in even the most minor detail can convert expected success into failure. Although nootropic drugs may enhance the cognitive abilities of users, it is not healthy to rely entirely on these drugs in the long term. It is advisable that users understand that nootropics will not be a shortcut for avoiding hard work. However, if used correctly they can provide a significant boost in health and physical activity. All in all, the main reason for using nootropics is not to turn people into superhumans overnight but rather to help them in dealing with stress, improving their memory, physical performance, and cognitive focus.